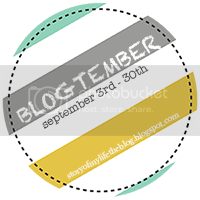 Monday, September 9th Prompt: Take THIS short personality test, and respond to your results. When I took the 72 question test, I scored ISFJ, which stands for Introverted Sensing Feeling Judging. I think the profile fits me almost perfectly, and I'm happy with that. You can read more about the ISFJ personality type HERE. 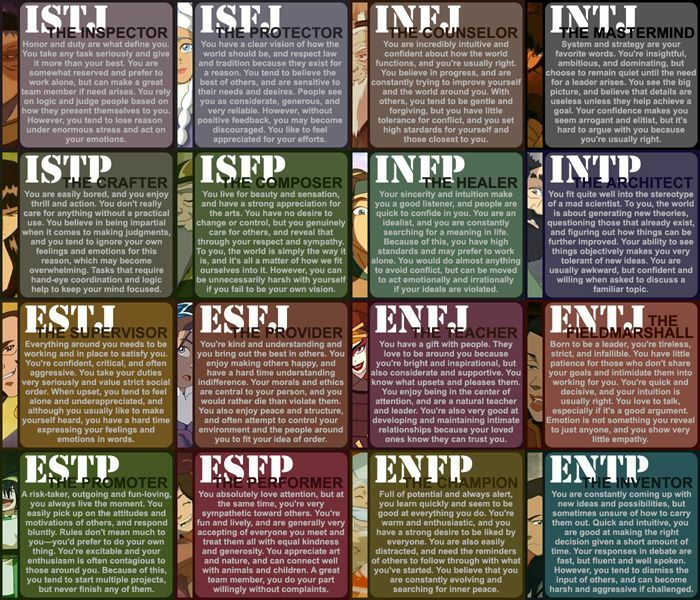 To see what each personality type looks like, see the chart below. Take the test I linked to first so you can know what you're looking for! Personality types are really fun to see, but I don't put all my money on them. I am curious about many of my friends, though (and especially Dan - I wish he would take the time to take this test). I have taken Meyers Briggs a few times (once the full version because my teacher was an proctor of the full test). I always get INFJ and I think it fits me to a T.
That's awesome that you took the full one. I would love to! ENFJ here, but equally agreed that it fits well! Makes me wonder though if it actually fits the personality, or if it's our human nature getting in the way and seeing what we want to see in the profile.. curious! That is an interesting thought. I was wondering that while I was taking it... like, "Am I REALLY this way, or am I picking the answer I WANT?" My guess is both! I have always been INFJ, but when I took this test it said that the margin was only 1% difference between S and N. Both really fit me so I will go with it. And I don't think that it is completely what we want to see, but I drink the personality test koolaid. The first time I took this, my dad administered it and he called out everything I was before I even looked at the questions. So some of it has to be based on reality I would think. I'm glad so many people find this interesting! I really like the idea behind it, and my results really do seem to fit me well. It's interesting how you're so split between the two - at least with this specific version of the test! Oh, wow! I can't even imagine doing this as part of the interview process for jobs... I would totally be trying to figure out which answers they wanted me to pick, haha! It definitely goes to show how many different types of people are out there, though - you're right! Too funny. I was an ISFJ as well. My strongest was the introvert at 78%! That's funny! Apparently, it is the type with the most amount of people!